The Noni fruit comes from a small evergreen tree growing along Hawaii’s beaches and forest areas and contains the world’s richest source of cellular rejuvenating enzymes. In traditional Polynesian herbal medicine and native Hawaiian cultures, the Noni fruit is widely praised for its life-extending properties, including supporting immune functions, aiding digestive health, and promoting well-being. The company mission is to combine traditional Hawaiian healing with state of the art scientific research to make the noni available to the world and to continue to establish Hawaii as a center for innovative agricultural crop development and High technology processing capabilities. Today, we maintain that long standing belief in the beneficial properties of this super-fruit. Our superior quality Noni fruit comes only from trees growing in the beautiful, pristine Hawaiian Islands, where the air, water and soil are the purest in the world and protected from pollution. 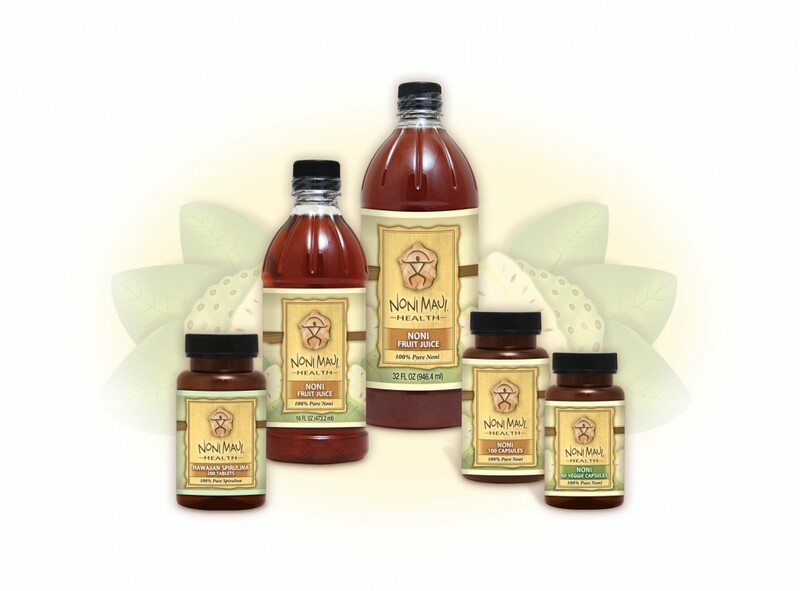 Now, we are passing those benefits along to you with our 100% PURE Noni Maui® juices, supplements and spa products. Enjoy!